It was just Z and I at home today because the boys are with their dad and D had to work. 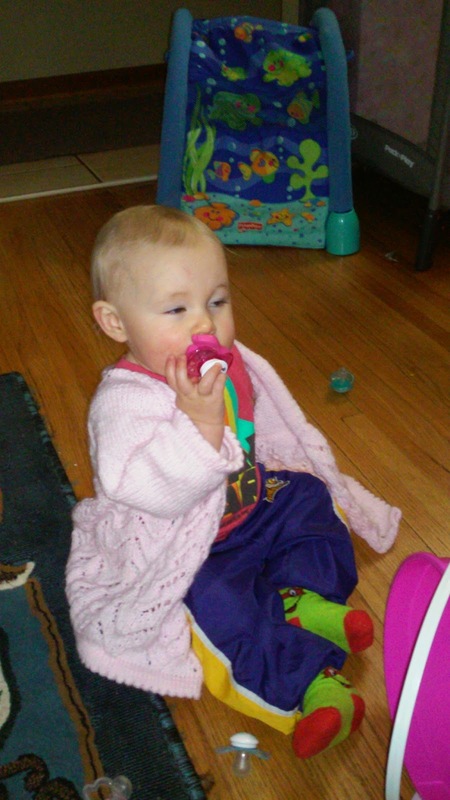 While she was napping I made some progress on her sweater. She is so awesome to knit for because she seems to like everything I make for her. I am not done with the sweater yet but she had to try it on. I still can't find my camera charger so I am stuck with crappy cell phone pictures. 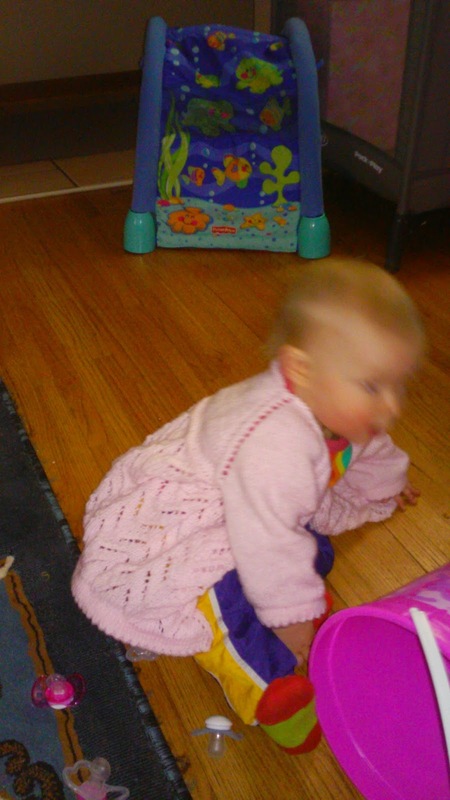 I got a better sweater pic but she is blurred in it. We also stopped into my work today because I wanted to change my direct deposit stuff. I am in the process of changing banks to have my checking and savings in the same bank as my car loan for convenience sake. 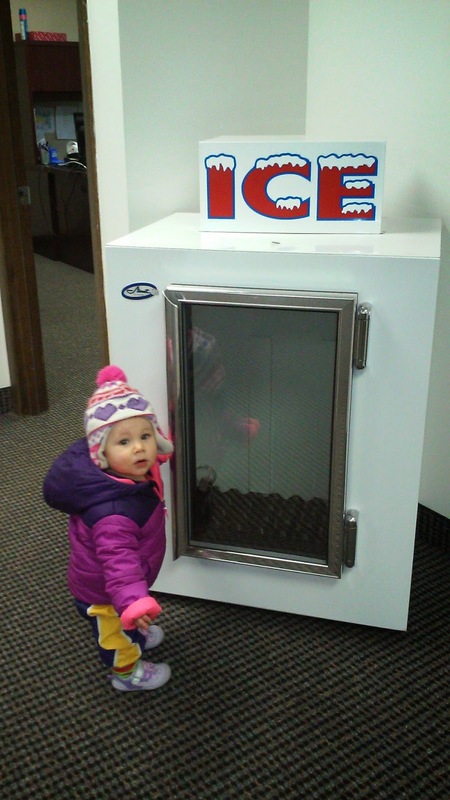 So Z just had to check out the mini ice box we have in the office. It is a Z size box lol. Hopefully I find my charger soon so I can get pics of out trip blankets because I am caught up on them and ready to start the 2015 squares. Ok and this sweater when I finish it up tomorrow hopefully. Oh and as of right now I have made it 47 and a half hours without a smoke. I am so proud of myself right now that I treated D and Z out to Taco Bell for dinner.